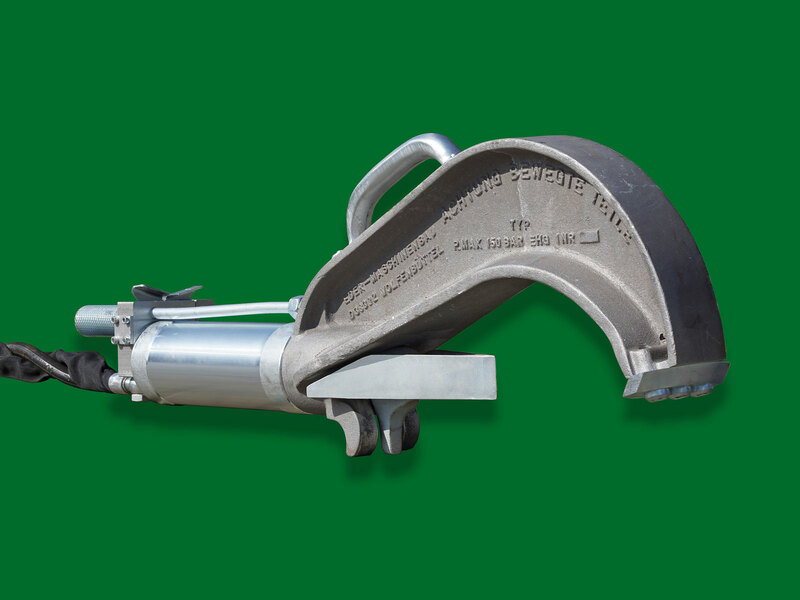 The splitting device is suitable for splitting tree trunks regardless of its length or diameter. On using the splitting device, the splitting of long or fibrous tree trunks can be significantly facilitated and accelerated. Conventionally the log is lifted on to a table and split into pieces, but with the EDER splitting device, the pieces to be split are divided in their respective positions on the floor, one or more times as required. The device is also suitable for splitting tree tops. The EDER hydraulic unit has been optimized to use with our hydraulic splitting device. It provides oil pressure and oil flow to generate high power at low time. 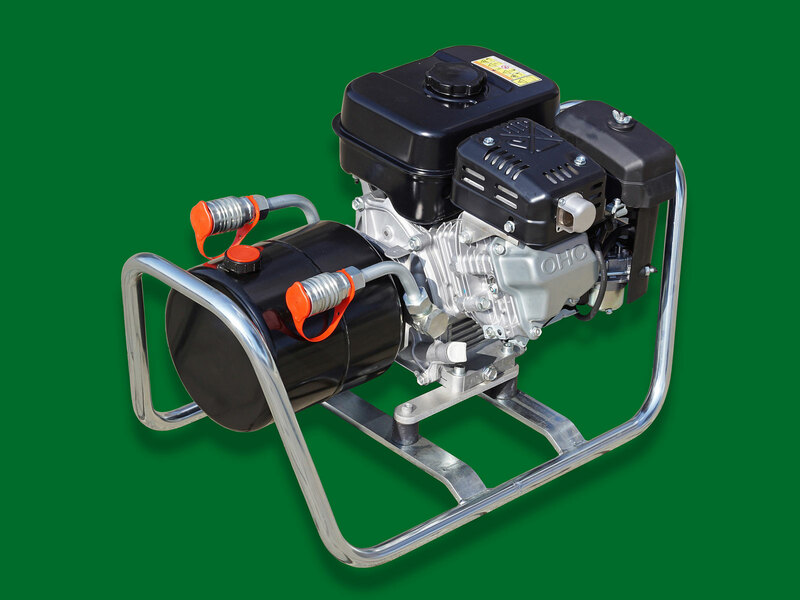 The unit is powered by an economical 4-stroke petrol engine with a power output of 4.8 kW (6.5 hp). The unit which weighs approx. 30 kg is built into a support frame and can be easily transported by one or two persons. The hydraulic unit provides an oil flow of up to 12 liters per minute and oil pressure of 150 bar (max. 210 bar), this power output facilitates its usage in other applications beyond the EDER Splitting machine. We would be happy to make you a non-binding offer. Please fill in the form and send us the request. We will contact you as soon as possible.